Exactly 2yrs ago, my dear mom passed away. She remains a woman of influence in my life, and I remain a son in awe. This year, i have had several recollections of her, have imagined her in the midst of everything that is happening in my life now, and I keep wondering what her reaction would be – that is to the news. Her reaction to non-news items is typically predictable – love people, honor family, work hard, and don’t stop! Today, my mood is sombre, my heart is warm, because as i think about that morning, there is one other thing that i realise is typical of her – pray! We prayed, a simple prayer, as we delivered breakfast on that Sunday Morning. The hospital corridor was eerie, atleast in Uganda’s National Referral Hospital. Chilly, as this morning. She had slept well, only with a minor problem. When we arrived, Auntie Justine had helped her freshen up, and she could sit. She was impressed that we were early, and that we’d cooked. You see prayer we sometimes take for granted, sometimes we say it rushed, other times, its rhetoric, almost always, we recite it. And to an extent, that’s what i did. But i did ask God for healing. For Her. 4hrs later, she breathed her last. I keep wondering, if she was here what would she do with my circumstances right now? How would she react to the things we have done since she’s been away? Would she be happy with the way we have treated each other? Would she be happy with the new opportunities around us? What would she be up to? How would her own life have changed? That’s when i remember, what she always did consistently – love people, honor family, work hard and pray! This year, that is what am going to do. This entry was posted in Family and tagged 2yrs, Anniversary, Chris, David, Eunice, Fifi, Gabriella, Mum, Mummy Mable Lugonvu Namayanja, Samara, Shalom, Tendo. My earliest memory of my dear mother is when i must’ve been 3 or less, in a 2 bed-roomed house in oft-flooded Bwaise. Even at that age, she was rebuking me for whining! My dad, still alive then, was no better refuge, and such spankings often wound up the night. This is after we had left Odeon Cinema, on top of Fidodido – a hip place to raise a young family. But ours was not too young, i was raised by cousins, and my mom ‘raised’ some of her brothers. My dad worked in Bata, and so could afford to take me to TwinAge Nursery School, and when he quit the life of trade shows, and bell bottoms, he served at Equatorial hotel. When he lay dying on his bed, all i can remember was a sick man, for some reason, i never really remember what my mom was up to. she was careful to get us to see him, faithfully, she valued family, in whatever shape form and size it came. That’s how i got, not just the name, but the reigns too, of my late grandfather! 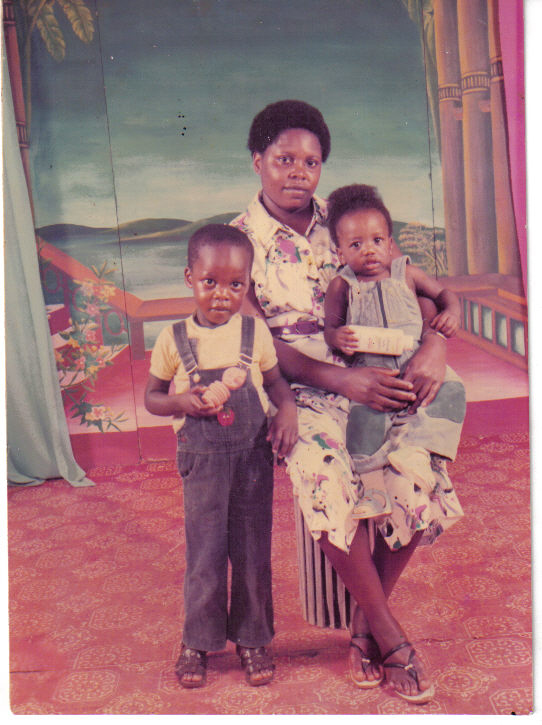 Widowed, and abandoned, she hopped 3 unassuming sons across Kampala’s suburbs, renting from one quarter to the next, that life only punctuated by the occasional Bimbo Ice-cream treats, Afro Studio shots and the memorable boxing day picnics on Lake Victoria’s shores. I never quite appreciated why we had to meet all her workmates – until i learned to define community – which was only recently, sadly. Even as a University Student, she had me design an information system for her department – i thought she would have had enough of us by then, but thats because i was yet to learn the meaning of family, which itself was only recently – again, sadly. I remember, when we had a ‘breakthrough’ and went to live on Salaama Road, there is this particular day, we had no transport – literary! Mummy walked me from Home, to my desk 3rd row of 3rd column, in P5E at BVPS, amidst reassurances that all would be well. I never understood it. I never wanted to, after all, how could normal people not have money at all? At 10 o’clock, as if she sensed how broken i was, mummy delivered breakfast – and i thought – wow! We walked again, but it didn’t break my heart ever again, it was ok, if it was with mummy. By high school, i was accustomed to a certain rhetoric – school fees defaulting, UEB disconnections for months on end, visitor-less visiting days – but i was happy to live it through. I had started to wrap my head around the fact that there were 3 of us, and we had to share her income. So raising chicken, became a part of her blood system. she would stay up in the middle of a midnight storm, just to make sure if any got wet, she would funnel it towards the heat – you see it was not just a drumstick-in-waiting, it was the life that we needed to live. she had to make it work. And you wonder why i love chicken…they laid down their lives for me – literary! Mum always had the script. My life, was largely shaped by this woman, who never tired of raising another child, attending a funeral, or being at a community function. I remember the elation she had when she was elected, unopposed for the Woman Councilor in our local Parish. The drama of the politics, in a home as humble as ours, was sometimes too much to bear. she insisted on receipts for ‘security dues’ within 2 weeks of arrival into the area, much to the chagrin of local council chairperson. Where had she gotten the boldness? Was it one of life’s lessons, she’d learned quietly? She cleared a thicket – a fairly large one – which was used as temporary storage for stolen bounty, and they too were not amused. Holiday stories of thugs trying to break into the house were less than encouraging, but this woman was not to be scared easily. she loved paper – lots of paper – infact books. so she worked wonders with books, especially old books. Mischievously, if you asked her to repair a novel, it was agreed, that the price, usually, was she and i would read it first before it got returned. Those glasses, had nothing to do with her sight. Well, until much later. But books, remain her passion. and thats why it was important to her, that her sons make it to University, on merit. Her demands were always clear, and her resolve unmistakable. If she was returned home limping, but had a function to attend, sure enough, she would make it. 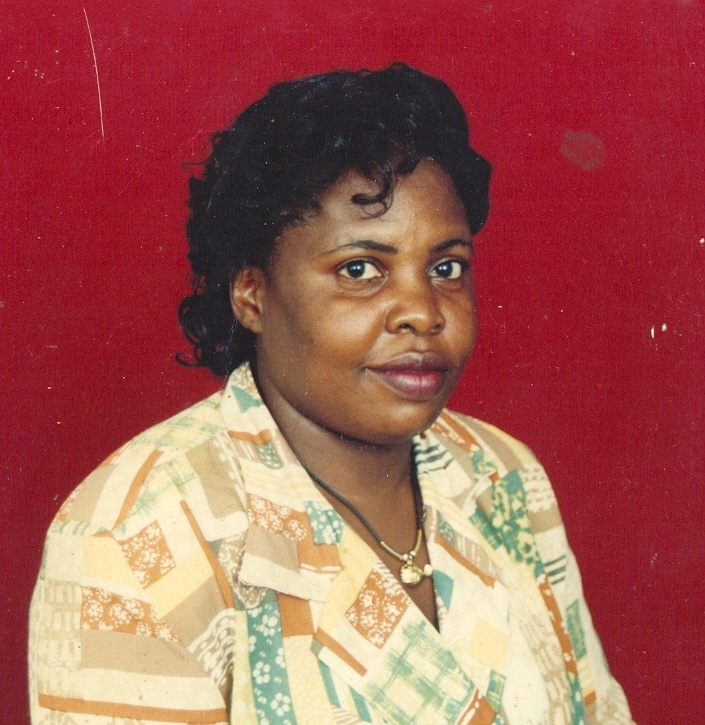 When we thought she was God’s emissary to all family burial ceremonies, she simply replied – “where i am is where you are coming, you will see how important it is”. I didn’t think people valued her half as much as she valued them. I was close enough to see her efforts – to love, protect and encourage, and most went unnoticed, usually, unappreciated. But she soldiered on, through 2 broken ankles, gaut, a widowed existence, frantic jobs and 3 sons, and she succeeded. She even got grandchildren – ironically, with God’s humor all over the script – 4 granddaughters! While in Canada, as i dated my wife, she was mindful of mothers-in-law and their sons, and 3 years later, she loved her enough to want her by her delivery bed. She lived an incomplete life, but one that was satisfactory. she saw us graduate, and get married. she saw her granddaughters, and appreciated our choice of in-laws. She is loved, dearly missed, because this December, there will be no one to boil the beef, her style is one that Fifi grew to love. There is no way of telling its your last prayer, after all, she taught me that prayer was routine. But on that Sunday morning, routine turned into scary, when we prayed the last. At the very least, we prayed. Mummy, when you left in March, we had not told you that Samara was coming in September, and Tendo in December. 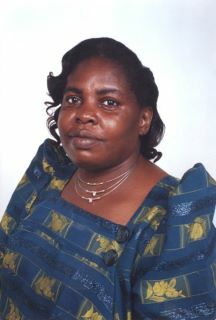 This entry was posted in Family and tagged Mummy Mable Lugonvu Namayanja.